Over the past two decades the Australian reconciliation movement has worked to reconcile Indigenous and non-Indigenous Australians, through educating the wider community about reconciliation and Indigenous issues, addressing Indigenous socio-economic disadvantage and recognising Indigenous peoples and Indigenous rights. One of the most significant strengths of the reconciliation movement during this time has been the development of local reconciliation initiatives and activities throughout the Australian community. 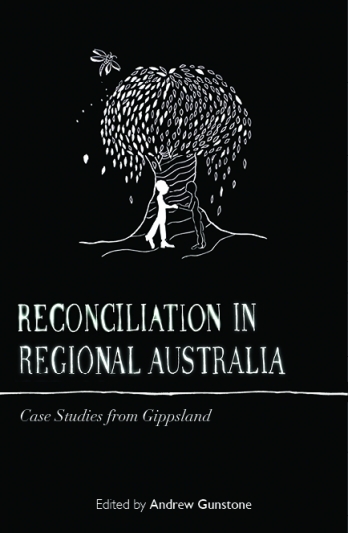 This book explores a number of local case studies of reconciliation within the Gippsland region of Victoria. The book brings together several scholars who discuss reconciliation in relation to a range of areas: wider community attitudes, addressing history, educating the wider community, Indigenous socio-economic disadvantage, Indigenous rights and community reconciliation. These case studies illustrate the hopes, outcomes and obstacles regarding the efforts of those working towards reconciliation in this country. Dr Andrew Gunstone is a Senior Lecturer in Australian Indigenous Studies and the Deputy Head and Director of Research in the School of Applied Media and Social Sciences at Monash University.